HLC is an exciting place to study, learn and thrive! We offer a broad and balance curriculum throughout the secondary phase that encompasses a wide range of academic and creative lesson in a fun and progressive environment full of challenge. 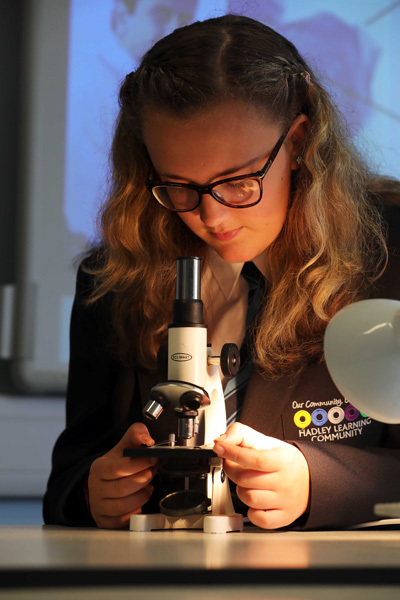 On reaching Year 9, our students begin their ‘GCSE’ study by opting for three subjects to complement their core curriculum. Again, we offer a wide and exciting selection of subjects, both academic and vocational, in order to provide an appropriate curriculum that not only challenges and inspires but also prepares our learners for the world beyond school whether that be further education or employment. In Key Stage 3, our students enjoy a core curriculum that includes Art, Citizenship, Computing, Engineering, English, EMP (Ethics, Morals and Philosophy), Geography, History, Maths, Modern Foreign Languages, Performing Arts (Dance, Drama and Music), Physical Education, Science.